Since the tender age of 12, Ainsley begun his musical career by singing and entertaining the old folks in the old pensioners homes, this progressed to playing social clubs, pubs, caravan sites, theaters, cruise ships and hotels. He clocked up many miles all over the U.K, and even Europe, Turkey & Lanzarote. Ainsley has worked in the entertainment business all his life and even lent his hand to being a red coat and a blue coat. Country & Irish country music has always been Ainsley's passion and favourite type of music. Over the last 3 years he has also been performing 50's 60's music. Playing rhythm guitar along with keyboards and harmonica. Ainsley has also worked on the line dance scene for over 15 years and likes to keep as up to date as possible providing the dancers with their favourite songs to dance to. Dancing himself he is adept to knowing which dances will fit to different songs for those who like a challenge. Described as ''witty, funny, and a little bit cheeky'' Ainsley likes to entertain his audience whilst having fun and providing a light hearted, fun show. Over the years he has won many awards from the clubs such as artiste of the year to line dance act of the year. Ainsley is passionate about his career, and loves every minute of what he does, being on stage, to walking and mingling with the audiences. 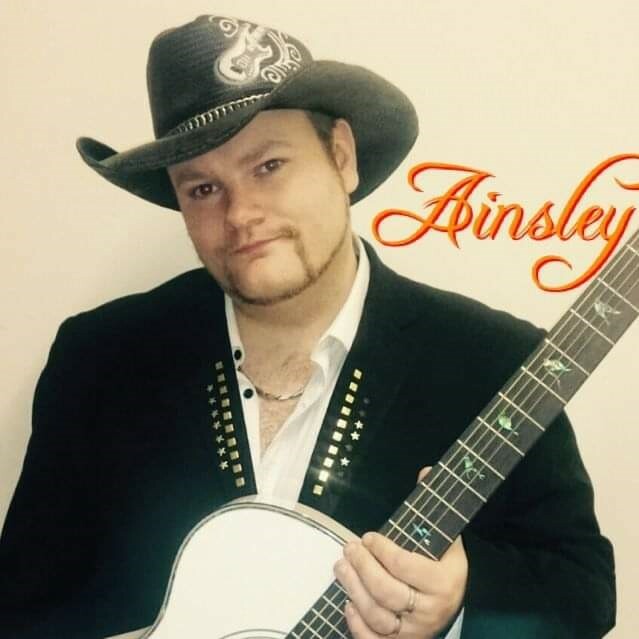 So for a great night of country/irish/linedance/50's 60's music be sure to look up Ainsley on your travels.